Competing with the very best! It’s a PISA cake! What can we learn from the top performing education systems in the world? The top performing school systems in the world and those that top the PISA tables, including Finland, South Korea, China and Singapore have done so primarily because they have produced an education system that is more effective in doing three things: getting more talented people to become teachers, developing these teachers into better instructors and in ensuring that these instructors deliver consistently for every child in the system. In short they recruit great people, train them well, and commit to the continuous improvement of pedagogical skills and knowledge. 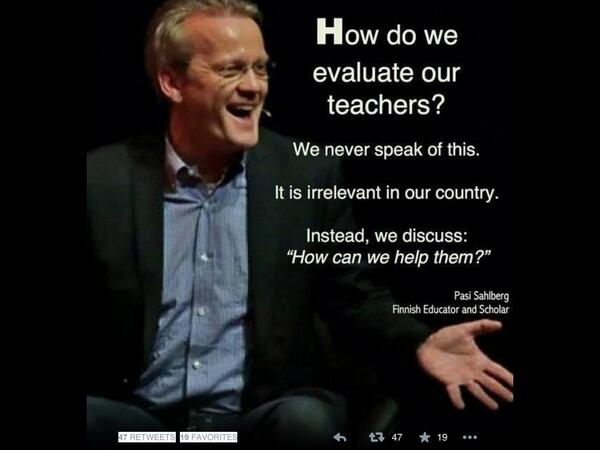 Teachers should be highly prized. It should be difficult to become a teacher, and the job should be socially prestigious. In Finland, admission to an education programme is as demanding as medical school; graduates must earn a master’s degree and conduct original research to obtain it. Students, parents and bureaucrats respect teachers, because they know how hard it is to become one. The top performing systems recruit teachers from the top third of each cohort graduate from their school system: the top 5% in South Korea, the top 10% in Finland and top 30% in Singapore and Hong Kong. Almost universally the best do two things, they have developed effective mechanisms for selecting teachers and they pay good starting salaries. These two things have a clear and demonstrable impact on the quality of people who become teachers. Whilst money is not the motivation for most to enter the profession, all of the top performing nations pay starting salaries that are above the OECD average. Once teaching becomes a high status profession, more talented people become teachers, lifting the status of the profession even higher. This is particularly apparent in Finland and South Korea, where historically strong teaching forces have given the profession a high status in the eyes of the general public. 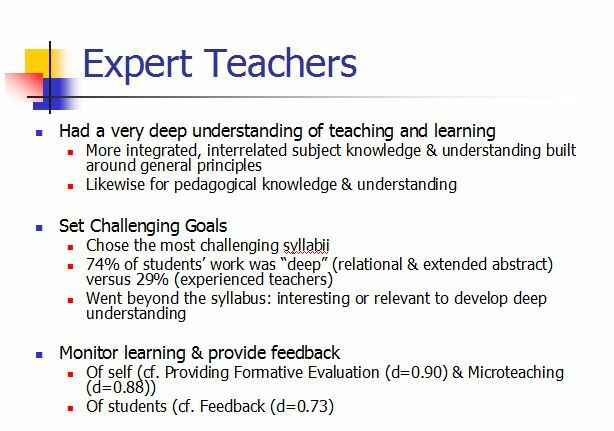 Delivering excellent instruction requires teachers to develop a highly sophisticated set of skills. The challenge for all school systems is giving all of its teachers the capacity and knowledge to deliver great classroom teaching day in day out.. System reform depends on three things….professional development, professional development, professional development… Singapore uses its National Institute of education to deliver high quality professional development to its teaching workforce. They provide 100hrs of professional development each year. Individuals need to become aware of specific weaknesses in their own practice. In most cases, this not only involves building an awareness of what they do but the mindset underlying it. Individual teachers need to gain understanding of specific best practices. In general this can only be achieved through the demonstration of such practices in an authentic setting. Individual teachers need to be motivated to make the necessary improvements. Such changes come about when teachers have high expectations, a shared sense of purpose and a collective belief in their common ability to make a difference to the education of the children they serve. There are broadly three approaches high performing schools use to help teachers to improve their instruction, create awareness of weaknesses in their practice, provide them with a precise knowledge of best practice and motivate them to make the necessary changes. Place coaches in classrooms to support teachers-Send an expert teacher into the classroom to observe and provide one on one coaching in terms of feedback, modelling better practice and in helping teachers to reflect upon their own practice. Singapore appoints senior teachers and master teachers to lead the coaching and development of the teachers in each of its schools. Selecting and developing effective instructional leaders- Select the best teachers as leaders. Train them to become instructional leaders who spend a good portion of their time coaching and mentoring their teachers. Senior leaders in the top school systems spend 80% of their school day focused on improving instruction. Enabling teachers to learn from each other- In a number of the top systems, particularly those in Japan and Finland teachers work together, plan their lessons jointly, observe each other and help each other improve. In Finland teachers are given one afternoon each week for joint planning and curriculum development. Shanghai decided to rely on the expertise of its best principals and teachers to reform its failing schools. The Shanghai government promised career advancement opportunities and autonomy if educators could turn around such schools, and this policy has been stunningly successful. Every Shanghai classroom has high demands yet offers extensive support.There’s an expectation and a demand that every student can succeed, and teachers regularly collaborate to improve student performance. All the available evidence suggests that the main driver of the variation in student learning at school is the quality of the teachers. Students placed with high performing teachers will progress three times as fast as those placed with low performing teachers. Even in good systems, students that do not progress quickly during their first years at school, because they are not exposed to teachers of sufficient calibre stand very little chance of recovering the lost years, we need to be getting it right at primary level! Individualised attention tutoring- The best put in place systems and targeted support to ensure that every child is able to benefit from excellent instruction. High performing systems start by setting clear and high expectations for what individual students should know, understand and be able to do. They ensure that resources and funding are targeted at those students who need them most. Extra help is widely available. 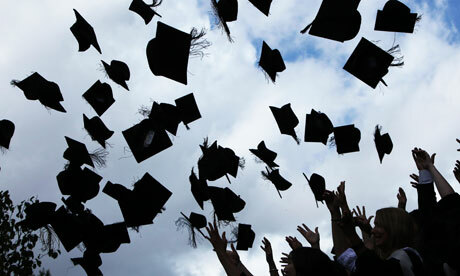 There’s a recognition that students often need specialised assistance. Roughly half of all Finnish students receive some level of remedial or special education by the time they turn 17, whether it’s extra attention from teachers or a specialised curriculum aimed at improving language, reading or maths skills or overcoming learning difficulties, which are treated as temporary. The extra help is almost always provided in-school, and generally takes up only a portion of the day. 30% of all students will receive special education during any given year. Special education teachers receive an additional year of training and are paid slightly higher salaries. The role is given stature. Asia’s systems depend on strong commitment from individual teachers to provide the necessary extra support where it is required. In Singapore, for instance, teachers typically remain in school for several hours after formal lessons have ended, providing additional support for those students who need it.